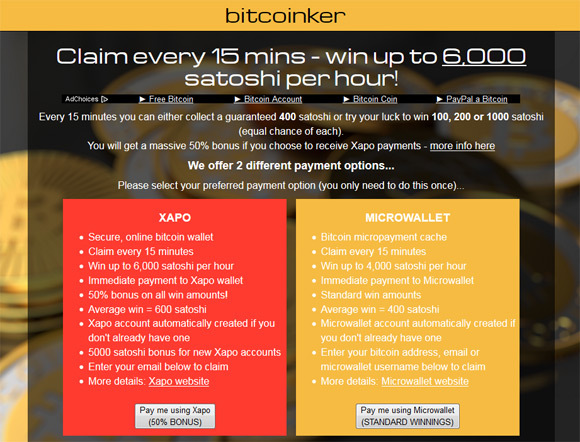 The Bitcoinker faucet is a simple and easy to be used Bitcoin faucet, all you need to do is enter your Bitcoin wallet address and claim your reward. 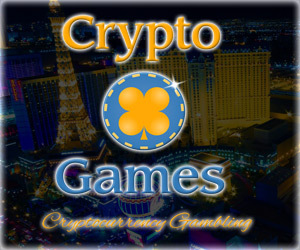 You can request a dispense from the faucet every 15 minutes and you can either collect a guaranteed 400 satoshi or try your luck to win 100, 200 or 1000 satoshi (equal chance for each). There are no limits to reach to get your payment. The service supports two types of payment with both being instant, but if you use the Xapo wallet you will get 50% bonus on your reward – 600 satoshi guaranteed or the possibility to win either 150, 300 or 1500 instead of the standard rates. 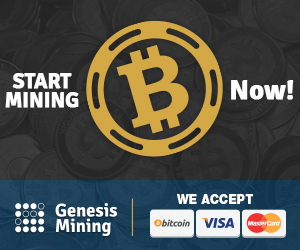 If you register a free online Bitcoin wallet from Xapo and use it as a payment method instead of a standard Bitcoin wallet address you will get not only 50% bonus in your reward amount but also instant transfer to your wallet using just an email address. The other option with the standard payout relies on Microwallet Bitcoin micropayment cache that collects your earnings until they reach a minimum value of 5825 satoshi and then forwards them to your Bicoin address. If you tell all your friends and family about the Bitcoinker faucet and they start using it to get free Bitcoins, then you will also receive 25% lifetime commission on their earnings. Don’t worry they will still get the normal rates, but you will get extra bonus for bringing them in on the faucet.